I constantly see Facebook friends checking in at Good Brother in Dickson, so recently when a reader requested a review of the cafe I jumped at the opportunity. Bright and early Saturday morning, before MORE furniture shopping, my partner and I made our way to Dickson. Good Brother is nestled behind the Greek restaurant Plaka, probably more identifiable as the old Zeffirelli. Walking up to the café, I really got a Sydney feel from the set up; with outside seating under a big leafy tree and a variety of patrons, from early morning gym goers grabbing a coffee to couples who walked their dog over for a lazy Saturday morning bite, as well as lone diners, sipping on long blacks whilst busily typing away on their Macs. The inside is quite small and dark but we wanted to get away from the fresh autumn morning. We found a seat and browsed the menu. It should be noted here that the café’s set up is simple and the kitchen is unable to make poached or scrambled eggs due to not having a stove. Now that you know, you can’t be disappointed like I was when I realised I wouldn’t be having poached eggs for breakfast. The menu does, however, have a variety of options, with almost all items listed as vegetarian and a good number of gluten free dishes. 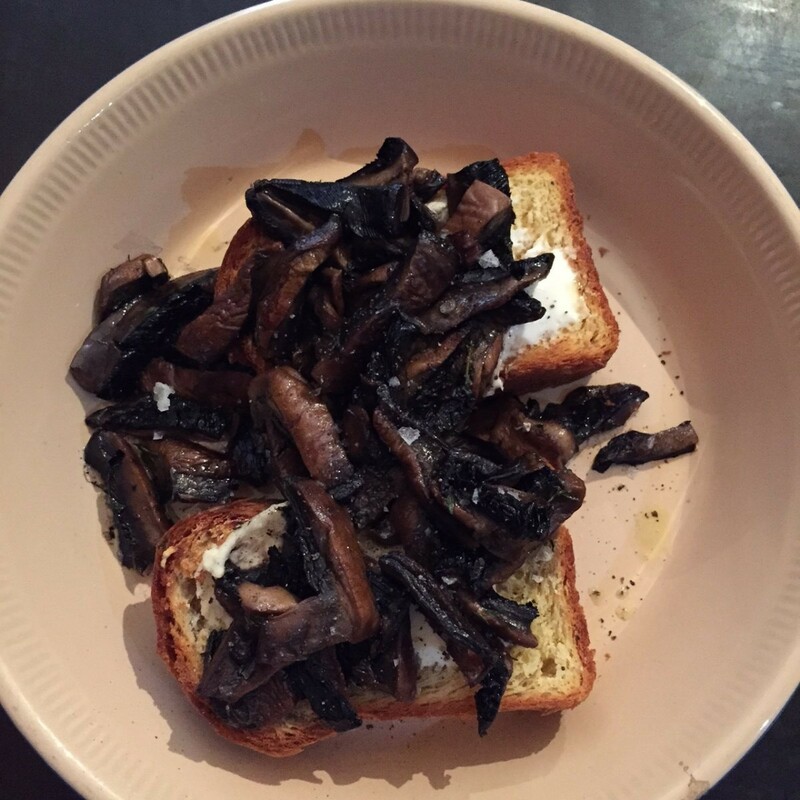 I decided to order the roast field mushroom and goats’ cheese on toasted brioche with fresh thyme, which is both vegetarian and available gluten free ($15.90). 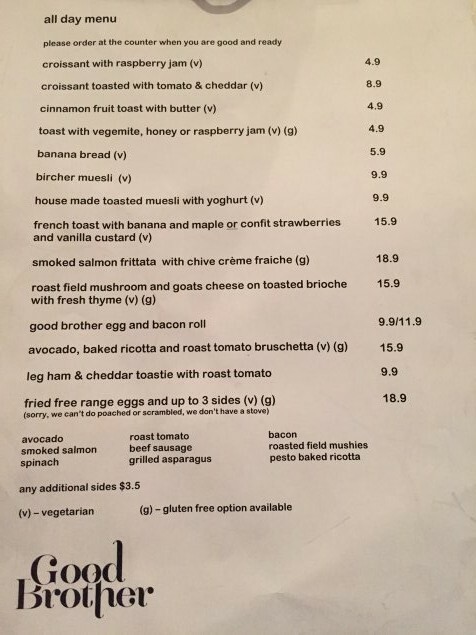 I had also heard that the Good Brother egg and bacon roll ($9.90/$11.90) is pretty special, so I convinced Mike to order it so that I could try it. Our coffees were really good and the dishes came out in good time. The waitress made sure to mention that my plate was hot and placed my dish down in front of me. The goats’ cheese and mushrooms were delicious, with the mushrooms sautéed perfectly. Although the flavours were there, I have to tell you, overall I didn’t like it. I’m going to own this, and say that it’s probably my own fault. If you follow my articles you will know that I’m not a huge fan of brioche for breakfast, so I really shouldn’t have ordered this dish. Mike really liked his bacon and egg roll and was overly full by time he finished eating it. The roll was jam packed in a sesame seed bun (the best kind) with bacon, egg and avocado. A big thumbs up! Earlier I had spied the display cabinet filled with fresh sandwiches, muesli, salad and mini cakes. As a reviewer it is my duty to try as much as I can, so I bought a passionfruit and coconut cake. It was actually one of the best store-bought cakes I have ever eaten. So good, that I bought a second just to be sure. 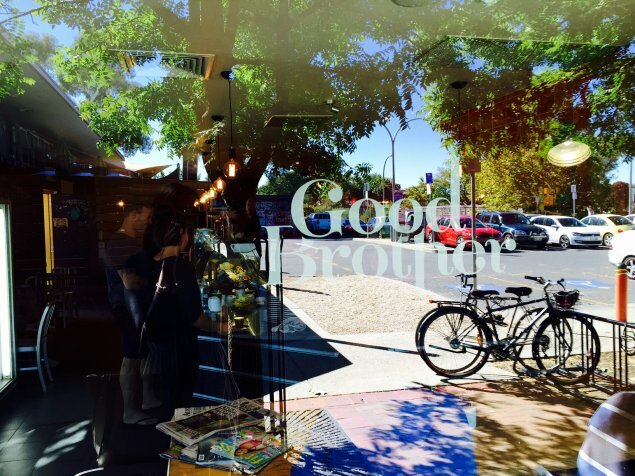 Good Brother is located at 1/20 Challis Street, Dickson and is open 7am – 3:30pm Monday to Friday and 7am – 2pm Saturday and Sunday (Except this Sunday for Easter!). thanks for your review. 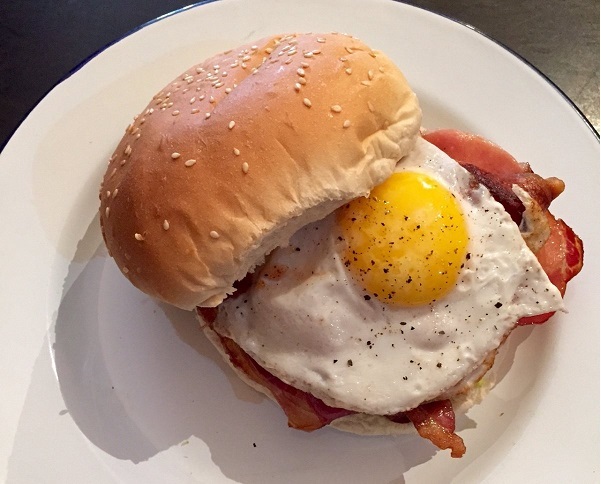 Did you find out what the difference is between the $9.90 bacon and egg roll and the $11.90 one? 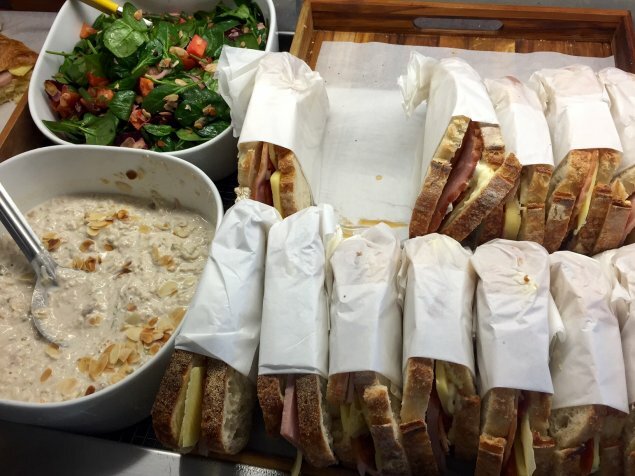 Ask RiotACT: Suggestions for a ‘different’ breakfast?